Power steering has been a standard option on almost all modern vehicles since the early 1980’s. However, if you run out of power steering fluid, you will understand the struggle of turning your steering wheel within tight spaces. The best power steering fluid is the Royal Purple MAX EZ, which is compatible with all OEM hydraulic systems and can be mixed with other conventional fluids. As with full synthetic oil that you pour into your engine, you can also use synthetic power steering fluid. The benefit of this is an improvement of the flow of the fluid through the steering system, which provide better lubrication. 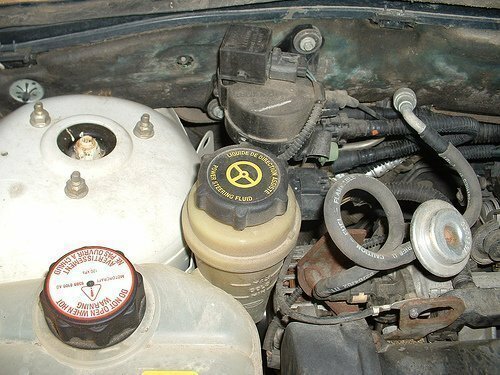 7.2 How To Check Fluid Level And Condition? Car manufacturers may require specific fluid within the power steering system in order to work as expected. Some even uses automatic transmission fluid but the best option that most modern vehicles use is a synthetic hydraulic fluid. It is designed specifically for power steering and improves the longevity of the system through improved flow of the fluid. Below is a list of the best power steering fluids that ensure all the components of the steering system remain lubricated and provide pressure for the operation of the system for easy steering. Royal Purple are known for their performance oils and fluids, which is exactly what the MAX EZ fluid is for power steering systems. The brand claims that the formula is compatible with any OEM hydraulic power steering systems too. Non-foaming and provide rust protection. Overall, the Royal Purple MAX EZ is the best power steering fluid you can buy that mixes with other fluids and is compatible with most steering setups. They claim that the fluid will extend the life of the pump, maximize performance and that it will not damage any seals within the system. Prestone is a reputable brand within the automotive industry and their power steering fluid formula also acts as a stop leak. This ensures that the steering system is kept running smoothly and it also helps reduce any leaks caused by seals. Prestone state that this fluid is compatible with most factory fluids used by GM, Ford, Chrysler and many other manufacturers. Overall, the Prestone AS263 is the best stop leak power steering fluid that actively protects the system and ensure the system runs smoothly. The stop leak capabilities also make it a great fluid to use for older vehicles. For those that own or have worked on a Honda, you may already understand that their steering system are sensitive to power steering fluid. Therefore, it is important that you choose genuine Honda power steering fluid to avoid any issues and maintain the manufacturers warranty. It is the best power steering fluid for Honda vehicles and the main difference to other fluids is the fact that it is much higher in viscosity. Putting a different fluid into the system can cause problems and result in an expensive repair. Pentosin CHF202 is a premium power steering fluid that has been designed for cold weather climates. It is more than capable of working at -40 degrees Fahrenheit and even at the opposite end of the scale at 275 degrees Fahrenheit. Overall, the Pentosin CHF202 synthetic power steering fluid is a great all-rounder and the best option for those living in a cold weather climate. The only main drawback is that it is not available within a small bottle for topping it up. The Red Line 30404 is a synthetic power steering fluid that is designed for performance with a high resistance to thermal breakdown. The brand also claim that it has 50% greater high temperature viscosity and 1/5 the evaporation when compared to other fluids. Overall, it is a great lightweight synthetic power steering fluid that is compatible with most power steering systems. It also provides continued high pump output and resistance to high temperatures to avoid foaming, evaporation and thermal breakdown. The fluid used within your power steering system is specifically formulated oil that provide lubrication and transmits pressure. This pressure is required in order to enable the power assisted steering and without it, you may find it fairly difficult to steer at low driving speeds. Running without or the incorrect can also cause expensive damage to the power steering system too, therefore its vital to purchase the correct fluid. To help you make an informed buying decision, we have produced the below buying guide regarding power steering fluids. Due to the complexity of some power steering systems, not every fluid will be compatible. For example, most Honda’s require a specific formula because the system requires a higher viscosity fluid in order to perform as expected. There are many that are universal but you should check your manufacturers documentation regarding the different types. How To Check Fluid Level And Condition? Checking your power steering fluid level is relatively straight forward and doesn’t even require you to check a dipstick in some cases. 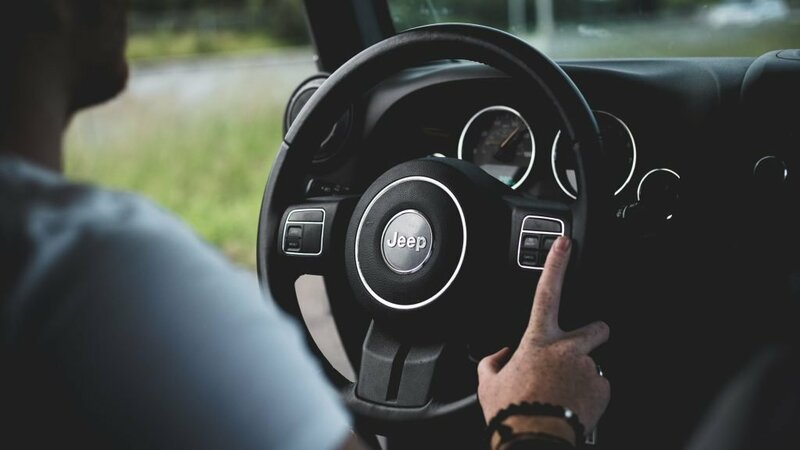 The first thing you will want to do is locate the reservoir for the power steering system, which will usually have a steering wheel icon on the top of the cap. If there is no dipstick present, you can simply check the markings on the reservoir. If its below a specified marker, then you should top it up with power steering fluid. If the reservoir is not transparent, you are more than likely going to have a dipstick, which you can pull out for checking the levels. For further details, follow this guide on each method of checking the fluid level. Whilst checking the fluid level, it is also recommend that you check the color and smell. This will indicate the condition of the fluid and whether it require replacing. To check the color correctly, we recommend that you pour a small amount onto a rag or cloth. If it is a dark brown or black, this would require replacing as soon as possible. Some power steering system allow you to substitute fluids, which is great if you require topping up. For example, some steering setups will use automatic transmission fluid, which is a synthetic base oil that can be used. You can even use brake fluid in some cases but of course, both of these substitutes will not be as good as proper power steering fluid. Although you can use both of these alternatives, it is not advised to do so for long periods of time. The alternatives will never beat the performance and protection compared to the best power steering fluid recommendations within this article. Using incorrect fluids can breakdown the seals, plastic and other components, which can lead to an expensive repair. However, in the case of an emergency, using a substitute may be your only option to regain power assisted steering. Regularly checking the condition of your power steering fluid is highly recommended. You can tell a lot from the color of the fluid, which will indicate as to whether you require a complete flush of the power steering system. If you notice that the fluid is a brown or black, this means that it has been contaminated. This is a result of the seals, hoses and other plastic components breaking down. If you replace the fluid and a month later it returns to this color, you may have further issues with the steering system itself. Good power steering fluid should be a clear, pink or amber color. When checking the color, be sure to analyze the fluid on a rag or cloth because the reservoir may make the fluid look darker. You may also notice other symptoms that include whining, squealing noises and heavier steering than normal. If you find yourself constantly topping up the reservoir with fluid, you may have a leak present. If this is the case, there are many stop leak power steering fluid options to choose and we highly recommend the Prestone AS263 formula. However, if this does not stop the leakage from your power steering system, you may need to get a mechanic to asses the seals, hoses and other components. Considering that your power steering fluid does not need to be changed that often, it is worthwhile investing into a quality fluid. Unless it is an emergency, we advise that you avoid using substitute fluids unless otherwise stated. They will not perform or protect as well as the proper fluid for the steering system.